Barbara co-owns The Shala yoga studios in Manhattan and Brooklyn with Kristin Leigh since 2002. They co-direct and teach the Mysore Ashtanga, vinyasa, teacher training, and mentorship programs. Barbara Verrochi holds a BFA in Sculpture from Philadelphia College of the Arts and an MFA in Fine Arts from Hunter College. 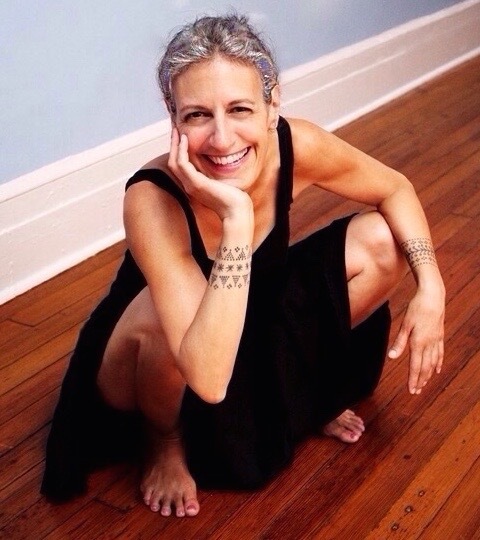 An educator since 1986, she taught art, physical education, and yoga in NYC until 2000. She served on the board of Bent On Learning from 2002 until 2012, and as a curriculum consultant, writer, project manager, and training supervisor for Pure Edge from 2012 until 2016. Barbara now co-directs Set/Reset, a nonprofit organization dedicated to supporting community-wide wellness in public schools, and teaches the Yoga Minor at Long Island University, which she helped to develop. Barbara began studying yoga in 1990. From 1997 until 2009, she traveled to India to practice Ashtanga Yoga under the late Sri K. Pattabhi Jois, and continues to study this method with Sharath Jois, Saraswathi Jois, Eddie Stern, and Maria Rubinate. She is also an enthusiastic student of anatomy, Iyengar yoga, chanting, and meditation under the guidance of Genny Kapuler, Sharon Salzberg, and Gulum Mohamed Kahn (Uncleji). She lives in Brooklyn with her beautiful son.